I specialise in helping women to recover from the after-effects of a troubled or traumatic, abusive or neglectful childhood. I help you to heal and re-parent your inner child, and make peace with the past – to stop it messing up your future! Before you go any further, I should warn you that there’s a LOT of information and choices on this website! Please don’t let that overwhelm or confuse you. I’ve been doing this work for over 20 years (I’m older than I look!) and I’ve been busy creating a wide range of products and services at different prices to give you a proper choice. SO….take a deep breath and dive in to find what interests and resonates with you. I do offer two HALF-PRICED concessionary client places (£50 an hour) – for two clients with reduced finances who genuinely can’t afford my standard fees. Please ask about availability. then let’s talk about how we can work together to make this transformation happen for you ASAP! Having recovered from childhood abuse and trauma myself, I now can be your childhood recovery coach and therapeutic self-development *mentor. I offer you much more understanding, empathy and depth than coaching, and much more focus than counselling therapy or psychotherapy. I work with the underlying causes of your difficulties – and not just the effects and consequences – to bring you deep and lasting change. My approach is both holistic and *integrative – and I combine well-researched methods which have been shown to be the most effective in bringing real and lasting change. (*Humanistic, TA, CBT, DBT, MCBT, MBT, REBT, NLP, Gestalt, Positive Psychology, Attachment & Relational Theory and Neuroscience). Click here to get my free e-booklets and videos – plus a free podcast series called The Light At The End Of The Tunnel, my blogs, articles and quotes – to help you to better understand how your childhood has shaped your present day life… and what you can do about it to give yourself a much brighter future! Helping you to help yourself to be free from the restrictions of your own mind. Help with anxiety, depression, anger, stress, self-esteem and confidence, weight management, mindful CBT, sustaining happiness, understanding yourself and relationships. Seven of these ten workshops also have four audio recordings included. All workshops are only £27 each – much less than the cost of one counselling session! Save yourself months of expensive therapy! These five short self-help online courses are ideal if you want to go deeper by yourself. In these courses/guides you will learn how to ‘sort out’ yourself, your relationship, your sexual intimacy, your parenting and your business – without the time and expense of counselling therapy or coaching! You work at your own pace and you’ll have my guidance and audio recordings along the way. Each online course can be completed over a few days – and costs much less than one therapy session – only £37! 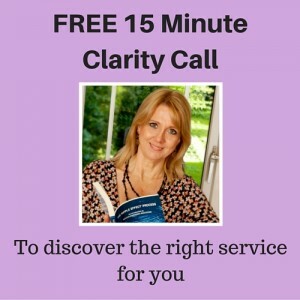 I’ll help you to understand who you are, and how your past has been shaping your present day life…. and what you can do about that! You’ll be shown how to make the changes you want in all areas of your life. These online sessions are available if you aren’t able to meet with me in person. I offer two HALF PRICED CONCESSIONARY CLIENT PLACES – for clients with reduced finances who genuinely cannot afford my full fee. Please ask me about availability. Your in-person Therapeutic Mentoring/Coaching – If you prefer to meet and work with me in person rather than online, and you live within travelling distance of central Chichester, West Sussex UK. 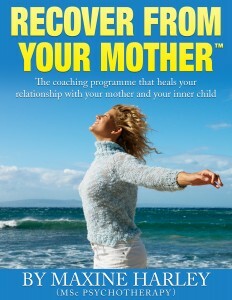 Do you need to regain and sustain your courage and composure when dealing with your toxic mother? Whether she’s still in your life or not, you’ll have internalised your relationship with her – and that will be getting in the way of your other relationships and peace of mind. Does your father still overshadow your life – even if he’s not around? A toxic father leaves a heavy shadow that affects your happiness and all of your relationships. 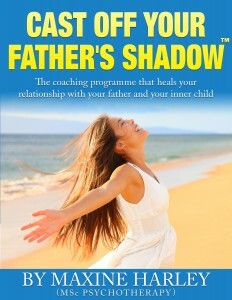 If you want to be free of your ‘father issues’ then this 8 module step-by-step programme will take you there, with my expert help along the way. 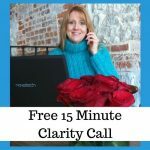 Gain courage, confidence, clarity, control and inner calm from these transformational coaching programmes – with Skype or Zoom sessions with me along the way. ** If you want to work through either of these two life-changing coaching programmes in person with me, we can arrange to meet in 2 or 4 hour sessions to work through the eight modules together. A carefully structured day to safely re-connect with your wounded inner child, to release her pain, heal her wounds, make peace with the past and re-design your future. It’s time to reclaim your youthful vitality and to put the fun back into your life! This one-day workshop is also a very beneficial follow-on from the deeply therapeutic Inner Child Workshop (above). It’s also ideal is you’ve been feeling stuck ‘in transition’ in your life roles and you’re ready to find out what your inner child wants and needs in future! I have created a unique therapeutic method called Quantum Psyche Process ™ (QPP) – now available as an online self-help method to reveal, review and revise those subconscious beliefs, and trauma reactions which have been causing you problems with your thoughts, emotions, self-esteem, behaviours and relationships. and how I can help you to get to where you want to be! Any questions? Please e-mail me at maxine@maxineharley.com and I’ll be happy to help you in any way I can. With over 20 years of experience as a psychotherapist (Masters Degree) working with a very wide range of people and problems I’ve condensed what I’ve learnt over the years into my own new and very effective methods to improve psychological, emotional and physical well-being. I specialise in helping women to heal and transcend their emotional wounds, recover from a troubled childhood and toxic parents, learn how to re-parent their inner child and to make peace with their past. This enables and empowers them to become better people, parents, partners and professionals – and all round happier calmer people. I am particularly interested in the effects of Adverse Childhood Experiences and childhood trauma – and how these can be the deep-seated reasons for the problems in our adult lives. If this resonates with you then I’ve created some free e-books, blogs, articles and videos on the FREE RESOURCES page of this website – to et you started, so that you too can begin to enjoy peace of mind and a brighter future ahead. I can help you find out ‘How To Tell If You Need To Sort Yourself Out’ – or those parts that haven’t been working well for you. You can find out just how much ‘sorting out’ you personally have to do by downloading my free questionnaire (see top right in the header bar to get your free copy). * S.E.L.E.C.T. Your Life is my process of helping you get to where you want to be and to have the life you want and deserve – the life of your own making and not just the one that’s been handed down to you. Change is always possible when you follow the right steps… let me guide you to take those steps. If you are suffering with suicidal thoughts, serious self-harm, a personality disorder, or chronic mental health problems, then the emotional containment of one-to-one psychotherapy will be better suited to your needs than online self-help material. (A *mentor is defined as:- an experienced, wise and trusted advisor, counsellor or teacher giving help and advice over a period of time to someone less experienced). 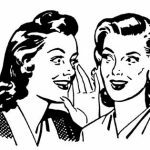 In accordance with the GDPR regulations of May 25th 2018 I need to inform you that any personal information you share with me – e.g. 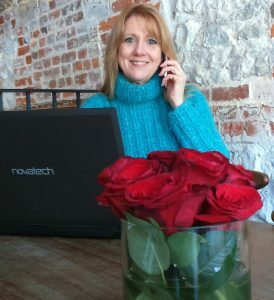 your name and e-mail address necessary for booking in a call with me, or downloading digital products from my website – will be kept safe and private, and will not be shared with anyone else or used for unsolicited marketing purposes. You will find that I send you just a few relevant and helpful e-mails that accompany your free or purchased products – and you can unsubscribe from these at any time. The date storage facilities and payment portals are owned by large companies which have their own robust privacy policies in place. Likewise my assistant is also bound by these data protection regulations to respect the safety and privacy of any personal date collected from my clients and customers.